Willie Sutton | Nobody Move! 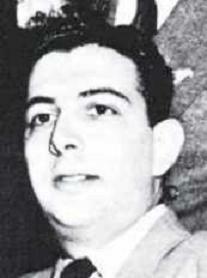 On this date in 1952, clothing salesman Arnold Schuster was shot and killed outside his home in Brooklyn, NY. A month earlier, Schuster had been riding the subway home from work when he recognized a fellow rider as wanted bank robber Willie “The Actor” Sutton. Schuster followed Sutton from the subway to a nearby garage, where Sutton went to work changing the battery on his car. Schuster then tipped off the police who arrested Sutton. Schuster’s murder was never solved. Years later, mob turncoat Joe Valachi testified that mob boss Albert Anastasia ordered the murder after seeing Schuster on the TV show I’ve Got a Secret. * Anastasia had no connection to Sutton, he just hated “squealers”. Five years later, Anastasia would find himself on the receiving end of a “hit”, orchestrated by rival boss Vito Genovese, and Anastasia’s underboss Carlo Gambino. *While researching the 1947 Holmesburg Prison escape, I recently found something that pokes a major hole in Valachi’s story: I’ve Got a Secret premiered in June 1952, four months after Schuster’s murder. If Anastasia saw Schuster on TV, it couldn’t have been on that show. 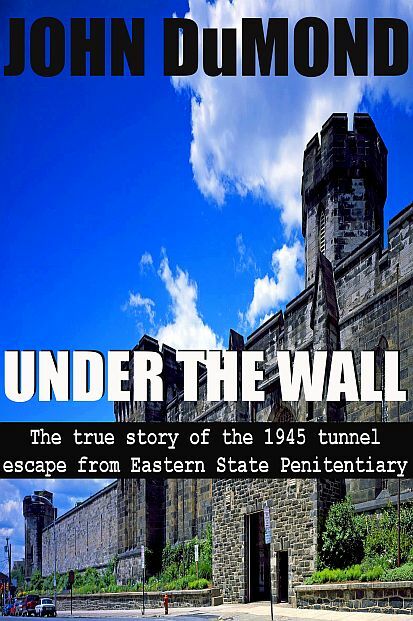 For more on Sutton’s escape and the murder of Arnold Schuster, check out my true crime short, Over the Wall: The True Story of the 1947 Escape from Holmesburg Prison. In 1945, twelve inmates tunneled out of Pennsylvania’s Eastern State Penitentiary. Within weeks, the escapees were all rounded up. Barely two years later, four of the Eastern State “Tunnel Rats,” including bank robber Willie Sutton and mob hitman Fred “The Angel” Tenuto, made a daring escape from Holmesburg Prison. This time, rounding up all the fugitives wouldn’t be quite so easy. It’s only 99 cents, or you can read it free if you have kindle unlimited. It’s a sequel of sorts to Under the Wall. FYI, my true crime short story Under the Wall is free in the Amazon Kindle store through the end of the weekend. Actually, I think the free promo ends at midnight Eastern Time on Monday. So feel free to click on over and give it a look. In keeping with my recent policy of being asleep at the wheel on this blog, I managed to miss the 70th anniversary of the 1945 tunnel escape from Eastern State Penitentiary in Philadelphia. For the record, the breakout happened on April 3, 1945. You’d think I’d have remembered to do a This Day in Crime History post about it, especially since I wrote and published a true crime short story about the escape. In 1945, twelve inmates, including notorious bank robber Willie Sutton and mob trigger-man Frederick “The Angel” Tenuto, escaped from Eastern State Penitentiary in Philadelphia through a one hundred foot tunnel. Some would be captured quickly. Others would not go down so easily.